The Eau de Toilette, less concentrated than the Eau de Parfum, is ideal for the daytime. Floral Spicy. L'Air du Temps is a little olfactory miracle. This fresh and timeless fragrance is a unique combination of contrasts. 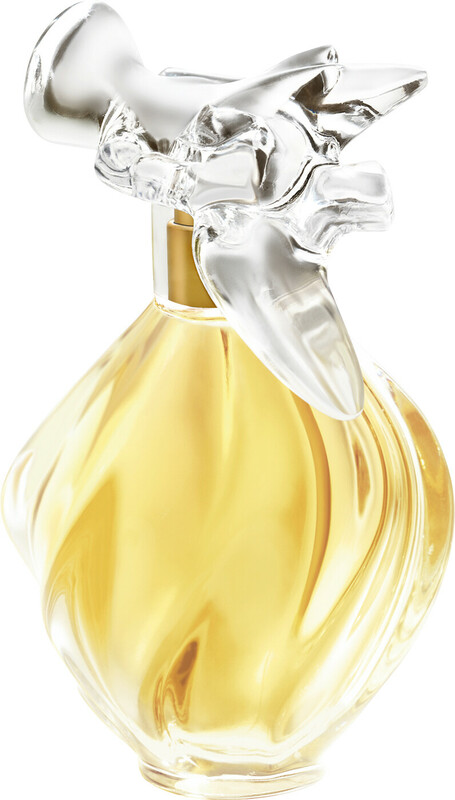 A fragrance of emotion, L'Air du Temps exudes a mysterious power of seduction. 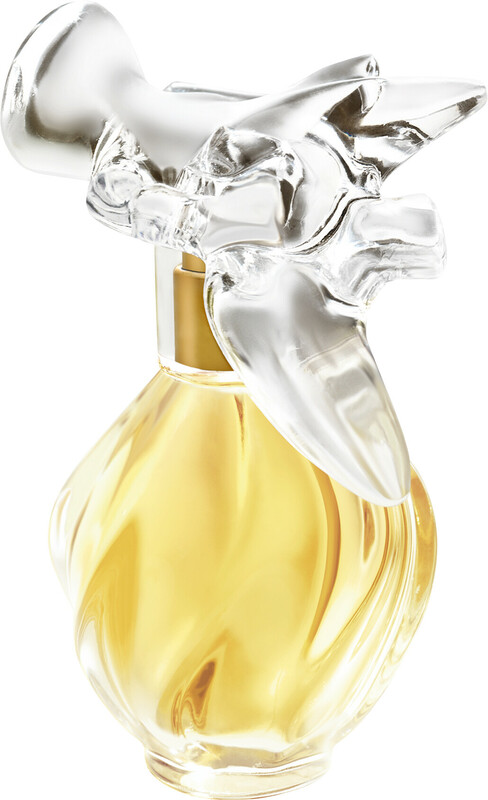 Its fragrance blends into the personality of each woman to bring out her sensual charm and refinement. Nina Ricci L'Air du Temps Eau de Toilette Spray is rated 4.6 out of 5 by 5. Rated 5 out of 5 by Bronte from L'air du temps This was a gift, so cannot comment, but am quite sure it was excellent. Rated 5 out of 5 by Runningbear from Favourite perfume I have used this for a long time, and always have comments when I wear it. It is such a feminine perfume, and when layered with body lotion, it lasts a long time. Rated 3 out of 5 by marie20 from I received this as a gift and found it to be too musty and strong for myself, I would say it is more of a sophisticated older smell, as i prefer the more sweet floral perfumes which is probably why my mum liked it more! The scent itself is very strong and lasts ages though! Rated 5 out of 5 by HJR2012 from Beautiful Classic perfume. I keep coming back to this perfume because it is so lovely and gives me a lift whenever I wear it. Very sophisticated.